A Mexican Legend de la casa Pathé tuvo poca promoción. Tres revistas cinematográficas dieron cuenta de ella: The Nickelodeon del 1 de noviembre de 1910 (Vol. IV. No. 9, p. 257), The Moving Picture World del 12 de noviembre (Vol. VII, No. 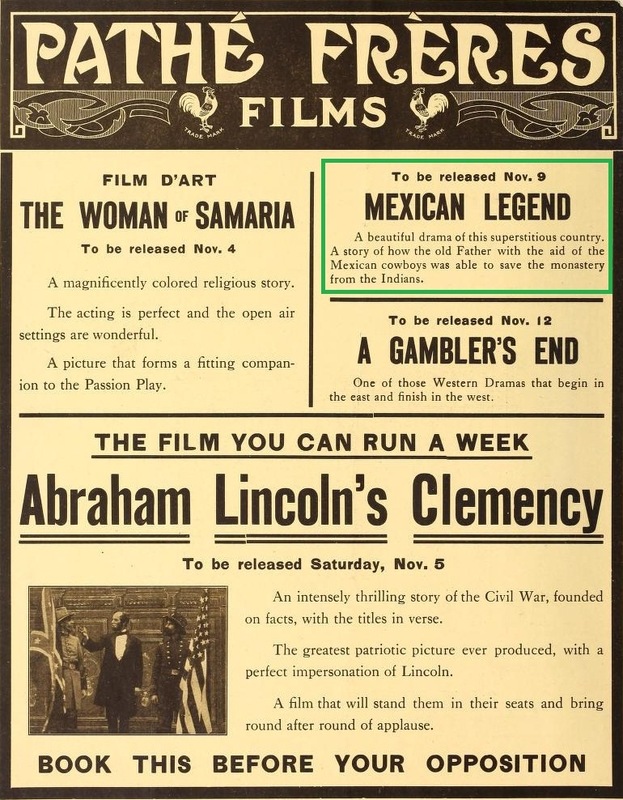 20, p. 1127) y The Film Index del 12 de noviembre de 1910 (Vol. VI, No. 20, p. 20), pero publicaron la misma sinopsis donde es obvio que la compañía productora envío la información a todos los periódicos y revistas especializados. A MEXICAN LEGEND (Pathé). It is noon at the old monastery of Vejas, which is situated in the heart of the wild country in northern Mexico and twelve miles from any habitation. The monks are returning from their labors in the garden to chapel. A band of Indians creep up through the long pampas grass, and as the monks come out from prayer, fall upon them and capture them. 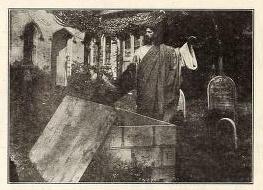 The aged Father Ignatius is dragged to the burial place and the heavy stone of a vault having been removed is dropped inside, the stone lid being replaced. The others are imprisoned in the chapel while the Indians sack the monastery and make merry with the Fathers’ well stocked cellar. The aged Father prays before a painting of Christ that is in the vault, and the figure comes to life, and leads him out of his living tomb. Father Ignatius sees the marauders dancing and debauching, and plods on his weary way to obtain assistance. He has to cross a river and Christ appears and directs him to a floating island on which he is quickly borne to the other side. Weary and weak, he endeavors to climb the mountain path, but his strength gives out and he falls exhausted. Again Christ appears, takes him by the hand and leads him over the mountain. Finally he reaches his destination, a hacienda. He tells his story and the Mexican boys are soon in their saddles and on their way to the monastery it is but the work of a few minutes to put the Indians to rout and release the imprisoned monks. Reverently they all turn and fall on their knees and give thanks to Him who gave the holy Father strength to obtain the help that was so badly needed.—1,033 feet. Released November 9. 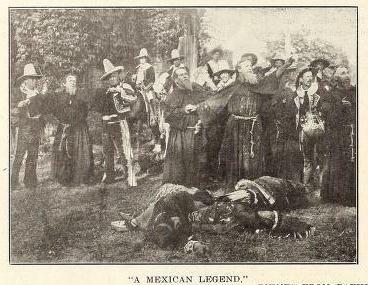 The Mexican legend is founded upon a story of a colony of monks which was attacked by Indians, the abbe being brutally mistreated and cast alive into a stone tomb while the rest of the monks are held for torture. The tomb in which the abbe was cast chanced to be an entrance to a underground shrine where a figure of Christ had been painted in a niche cut in the living rock. The legend has it that this figure came to life and lead the abbe to a distant ranch house where aid was secured and the Indians are properly punished. The picture closes with a beautiful transformation scene of religious significance. The art of the picture maker is in evidence throughout this subject. The Moving Picture World del 26 de noviembre (Vol. VII, No. 22, p. 1236) publicó una serie de comentarios donde descalifica la cinta por considerar que agrede la religión católica y aún sabiendo que las iglesias en México eran atacadas por indios, esto no justifica que se reproduzca en una película. A Mexican Legend (Pathé).—Picturesque settings do much to rescue this film from oblivion. To see a figure purporting to be Christ appear three or four times is taking liberties with the most sacred tenets of a very large proportion of the people. 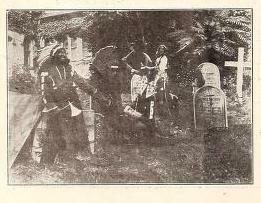 The mixture of marauding and more or less drunken Indians is incongruous and unpleasant. Perhaps Indians did raid monasteries in Mexico, but even if they did there is no excuse for reproducing one of these raids in motion pictures. Scenically the film is attractive. Otherwise it is, well, another of the usual thing.